The finest Liechtenstein Pools are located mainly in huge cities, but it's also simple to find public pools in rural areas. For Liechtenstein and its vicinity, we're showing you all of the registered pools, some of them have no GPS coordinates and can't be discovered on the map at the map. Are you on holiday and would like to preserve fit and healthful? Swimia.com offers you the simple and quickest strategy to acquire Aquagym in Liechtenstein near your current location. 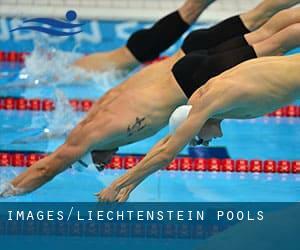 The greatest choice throughout your visit to Liechtenstein is going to be droping by a Liechtenstein Swimming Pool. Do you realize of any Pools in Spain that ought to be listed here? Contact us!. Not all countries are the very same, and swimming rules and regulations are changing from one country towards the other. So, if this really is your very first time looking for Liechtenstein Pools, be sure to call the premises before you drop by. Enjoy the best indoor pools in Liechtenstein and don't worry about the weather. These facilities are open all seasons and you can enjoy a swim at the same temperature every day of the year. There are a few reasons why you'll want to choose a heated swimming pool in Liechtenstein. The most significant 1 relies on the significance of keeping the body temperature stable. If the water is too cold, your body will try to warm it up and you will shed strength to swim correctly. Holding an estimated population of 5.748, Schaan is one of the most important cities in Liechtenstein. Check all of the Swimming Pool in Schaan and its surrounding area. Without a shadow of a doubt, swimming in Vaduz could be the greatest strategy to unwind right after work. Take a couple of minutes to browse Swimia's catalog to find a Pool in Vaduz. Let us tell you a secret to switch off though you will be in Balzers: just select a Swimming Pool in Balzers and plunge into the water! There's no additional successful strategy. Whereas Triesen is among the six most populous cities in Liechtenstein with almost 4.701 residents, you shouldn't miss that one if you're going to Liechtenstein. Fronagass , Eschen (Postal Code: FL-9492). This sports center gives 25 meters x 13.5 meters, 5 lanes, 1.4 meters - 1.8 meters depth, 1.4 meters - 1.8 meters depth, Indoors. For this Pool, only phone number is number here. Reschweg , Schaan (Postal Code: FL-9494). Among all the activities offered by the center, if you are interested in swimming you will enjoy 25 meters, Indoors. Just in case you need to contact this Pool before dropping by, we only know the phone number. Gnetsch 41 , Balzers (Postal Code: FL-9496). Among all the activities offered by the center, if you're considering swimming you will delight in 25 meters x 11 meters, 4 lanes, 1.85 meters depth, 1.85 meters depth, Indoors. Just in case you need to get in touch with this Swimming Pool prior to dropping by, we only know the phone number. Gässle 12 , Triesen (Postal Code: FL-9495). Swimmers like you reported 25 meters x 10 meters, 4 lanes, 1.2 meters - 2 meters depth, 1.2 meters - 2 meters depth, Indoors. Unfortunately we do not have the email address of this Swimming Pool, but we can provide you with the phone number.